The sun is shining and my thoughts have turned to Pimms. Looking at my shelves I have lots of different spirits brought back from holidays and homemade cordials and drinks. I could really do with cleaning the shelves before people bring back a new set of random holiday liquers. I also love buying and making fresh cordials but often don't get round to using them all up. So this month we are going slightly off the food theme and asking you to use up some of that lingering liquid to make something delicious and summery! 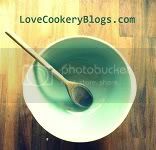 Do join in and remember you can republish old posts with the No Waste Food Challenge Badge. Please add your post to the linky below. Please include the title, recipe and a link to your post. If the recipe is not your own make sure you credit the author. Feel free to republish old posts just make sure you add a link to the challenge and add the challenge badge. Make sure you email before the end of the month. Please also include a link back to this blog and use the badge below. At the end of the month I will do a roundup post and hopefully we'll all have more imaginative ways of using up tour odds and ends of preserves. I have a lot of alcohol in my pantry, too. I never get that excited to use it unless it is in my fridge because it takes up space. I will link something up, for sure. Congratulation for the great post. Thanks for the list of changes which use on my work.